So what is a Patchogue? Something like a cross between a pirogue and Patch Adams? Nope (but that does give me an idea for an avatar). It’s actually the name of a Native American Indian Tribe, but for our discussion it’s not a what, but a where. The village of Patchogue (named after that tribe), on the south shore of New York’s Long Island, was where the region’s greatest boat builder – Gilbert Smith – developed the Great South Bay Catboat into an art form. 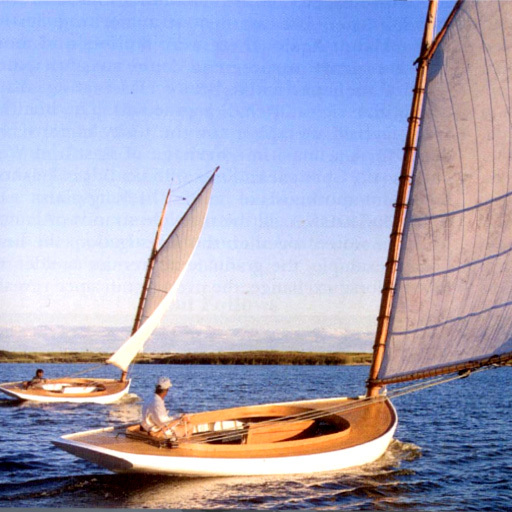 The Trudeau Patchogue was inspired by the designs of Smith, who as a contemporary of Nathaniel Herreshoff (the legendary Cap’t Nat was rumored to have visited Smith’s yard incognito at least once, trying to find out “how he made ‘em draw so little and go so fast”), evolved traditional workboat designs into amazing pleasure and racing craft. The working boats that plied the Great South Bay in the mid and late 19th century, as platforms for such commerce as duck hunting and oystering, were designed as all such boats are – in mind to the nautical conditions they operate in. The Cape Cod catboats for instance, similar in purpose to Great South Bay variety, were designed to withstand the rough conditions off coastal New England – heavy construction, high freeboard, wide beam. Long Island’s Great South Bay, by contrast is a semi-protected body of water, shallow (average 6 ft. at low tide), with generally agreeable weather conditions. The boats there were lighter with a very shallow draft and lots of sail. The aforementioned motor, popular with the cruising set. Skipper and crew positioning, adjustable under sail, trims the heel of the boat. As with all Trudeau boats, Patchogue is modify permissioned allowing you to make her your own. These are the links to the Photoshop PSD templates for the hull (2.07MB), naming (242KB) and sail (144KB) graphics. 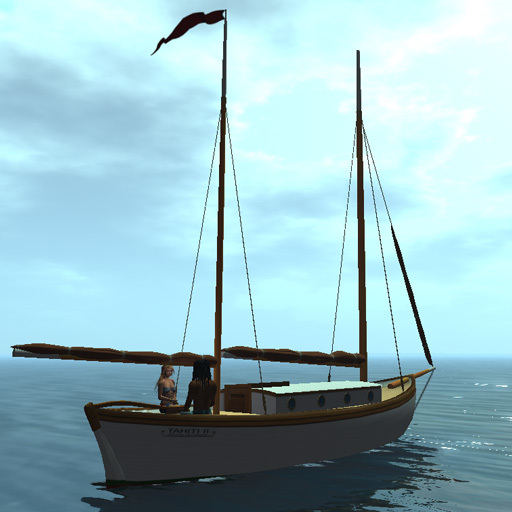 Also contact the Trudeau sailmaker, the very talented Bunnie Mills, inworld for further information about sail customization. 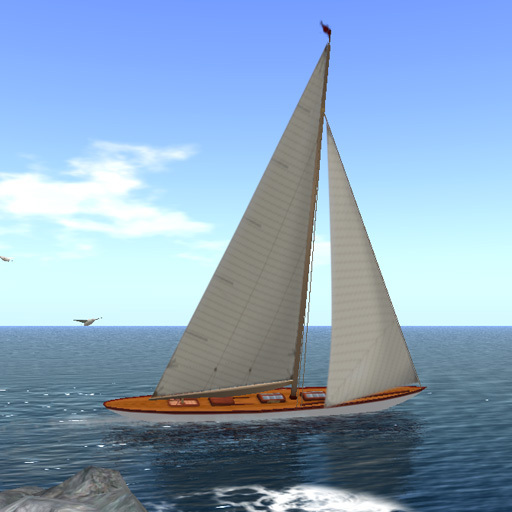 Come take a look at her at Trudeau Classic Sailing Yachts and (now that you know who he is ;) ) see if you don’t agree that Gilbert Smith lives on in Second Life! My daily trek to RL work takes me through Rockefeller Center in midtown Manhattan. Pushing past the crowds of tourists gathered around the Today Show studios, one comes upon Christie’s auction house. I always enjoy browsing their windows, decorated with sample representations of upcoming lots. Though customers in the past have asked for a “large” racing boat, not necessarily with a complete cabin, it takes something like this to nudge my inspirational muse to commit the time to build a new boat. With that little bit of introduction, Trudeau proudly announces it’s J-Class. 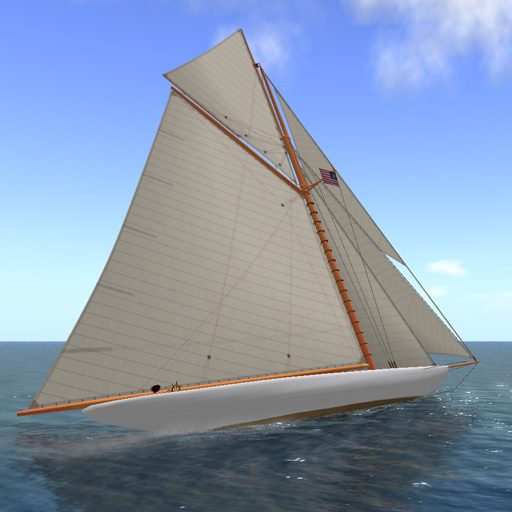 It is modeled on the J-Class America’s Cup racers of the 1930s. Only 10 RL J-Class yachts were ever built – 6 in the USA and 4 in the UK. Most of these competed in trials for the America’s Cup, or competed in the Cup itself. In a word (two actually), these boats were awe inspiring – prewar yachting at it’s most opulent. If the Trudeau J-Class was scaled accurately, it would be nearly twice the size as it is – the RL J-Class yachts were in excess of 125 ft. in length. They carried enormous sail area (~7,500 sq ft) on the new fangled innovations of the decade, the Bermuda rigged mast (150 ft+!) and Park Avenue boom, had a racing crew of 30+. As with our other latest boats, she is a sculpty hulled “rideable” – no attachment required. Though not skimping on the details, she can carry 3 other people in addition to the skipper. She is also the first Trudeau with a spinnaker, which was somewhat out of place on our fleet of gaff rigged sloops and catboats ;) (with the Leetle Cat and it’s centerboard and the J-Class with it’s chute, Jacqueline Trudeau dryly observed that the next boat might be the Flying Tako). The J-Class is a big boat most at home with lots of room to operate – perfect for the Blake Sea and USS environs. Here are the links to the Photoshop PSD templates for the hull (2.44MB) and naming (673KB) and sails (409KB) graphics. 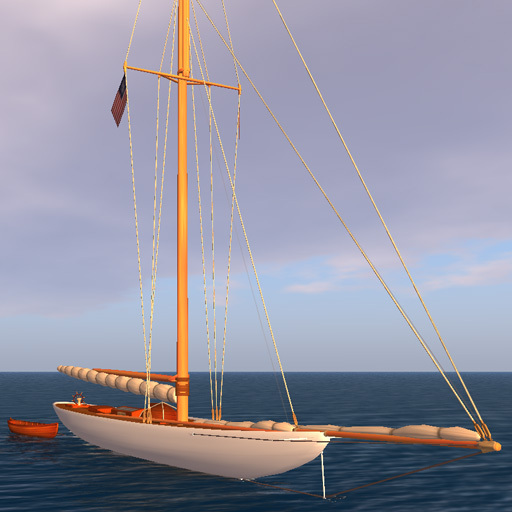 Also contact the J-Class sailmaker, the very talented Bunnie Mills, inworld for further information about sail customization. Can be sailed either solo or in collaboration with a crew. You can assign skipper permissions to others as well. 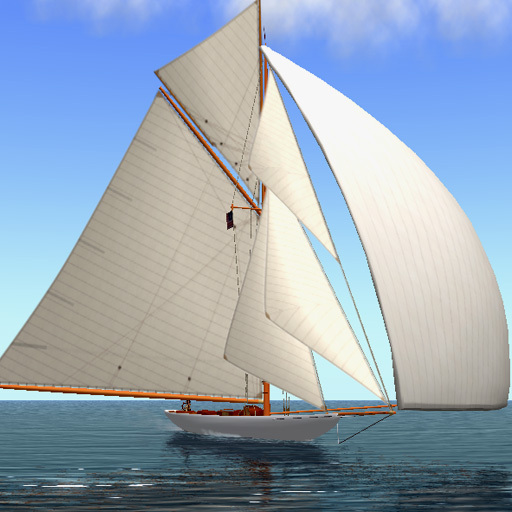 Realistic sailing including functional reefing for overpowering winds and 100m range boat to boat windshadowing. Customizable. 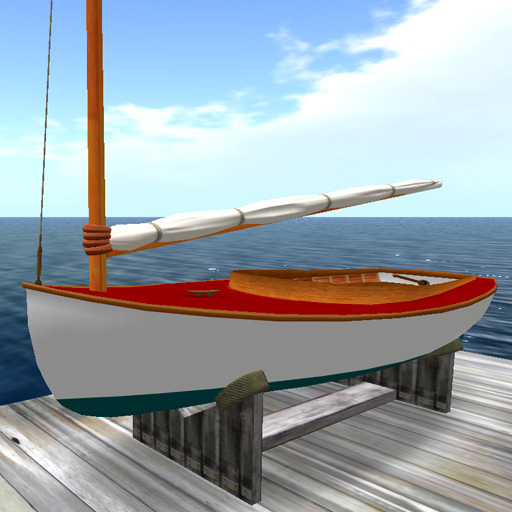 Voice commands to change the hull textures from a selection of traditional nautical color schemes, modifiable notecard for changing variety of settings including camera location and angle, skipper placement, chat channel. The redesigned low-prim onscreen HUD provides button control for the common boat handling commands and display of environmental conditions. An included 2nd EZ-Sail HUD controls all sails with one control, including autodeployment and autotrim of the spinnaker. An included 3rd info-display only HUD is geared towards regatta racers. 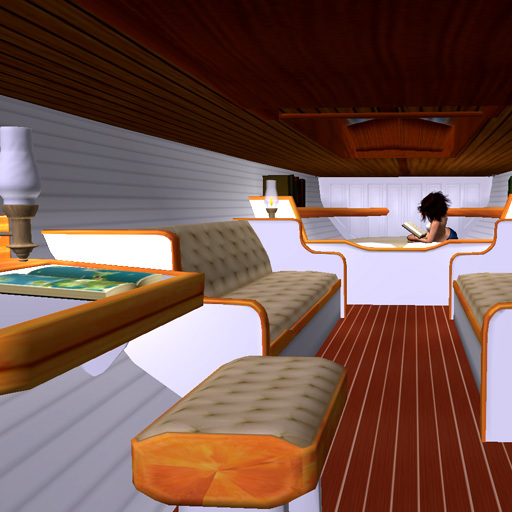 Accomodations for your crew in custom designed sit poses/animations positioned about the boat. 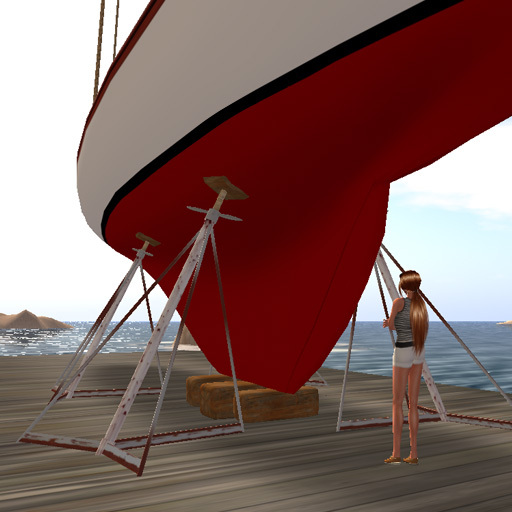 Drydock wedges when rezzed inworld over land. 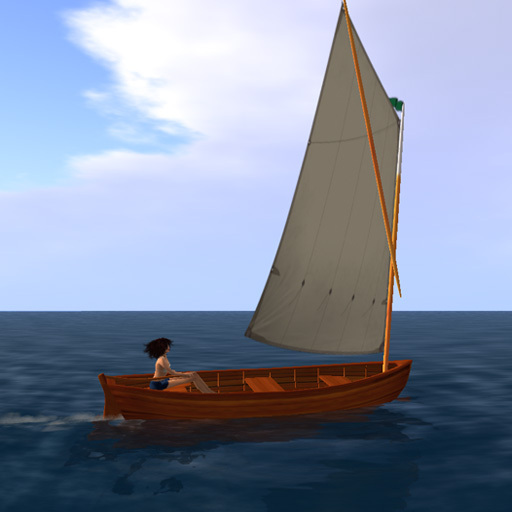 Animations by Larinda Cordeaux, sails by Bunnie Mills. 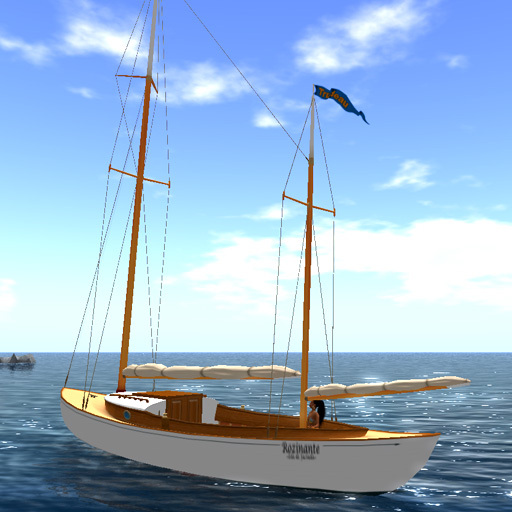 We’ve been hard at work sea-trial testing our new J-Class Yacht. Unfortunately, it seems the SL grid has been just as hard in resisting our efforts. expired_region_handoffs on what seems like 9 out of 10 sim crossings lately tends to dampen the spirits much more than any virtual water ever could. The thought occured to us, the sailing would be great if it weren’t for these miserable sim crossings currently afflicting SL. 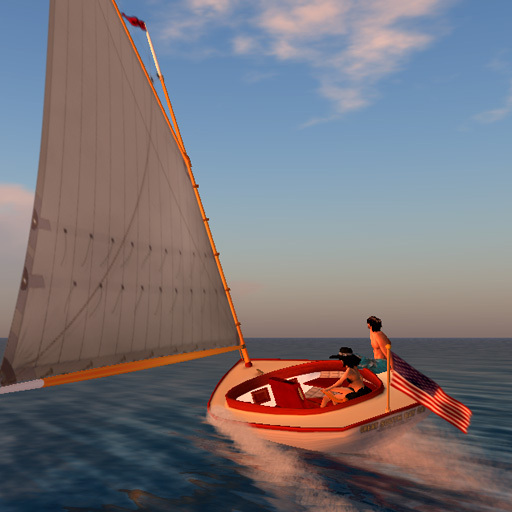 Yes, yes, we know LL is hard at work on updating their internal wide area networking which will once again open our seas to glitch-free racing and cruising (Jacqueline said with tongue firmly in cheek). But for now, a vehicle that could be operated within the confines of a single sim would be ideal. 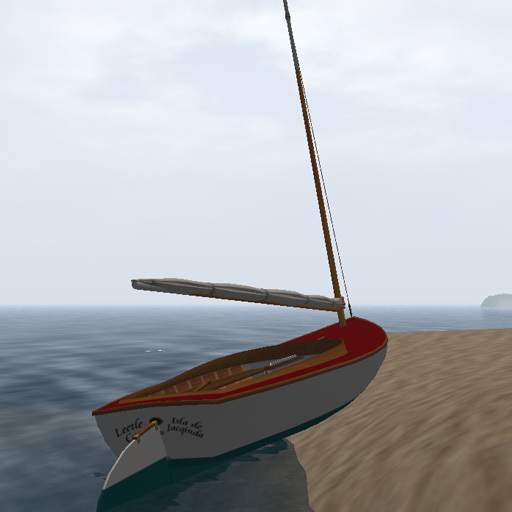 So we took our J-Class boat, shrunk it down to liliputian size, installed a radio receiver and voila! 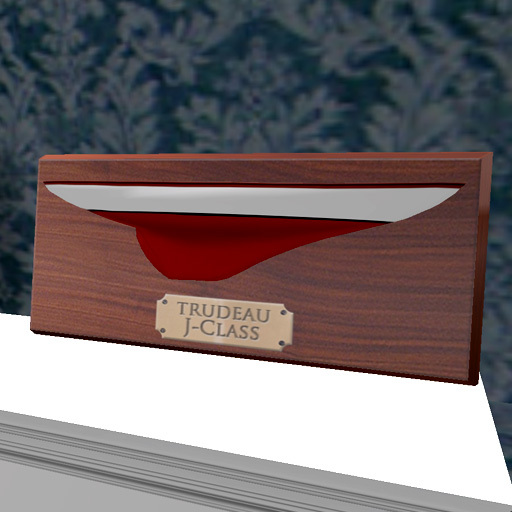 the Trudeau RC J-Class. 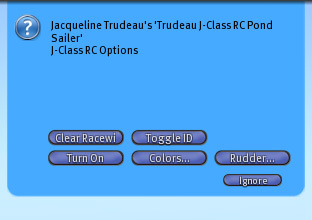 The Trudeau RC J-Class is our remote controlled pond sailor/racer. 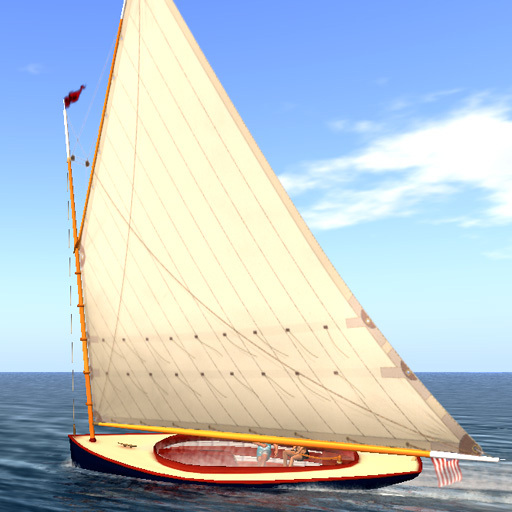 Modeled after the magnificent J-Class America’s Cup racers of the 1930s (more on those amazing boats with the release of our full sized J-Class), it consists of the highly detailed graceful 2m long boat (also suitable for display on your SL mantle), the RC transmitter HUD and the RC transmitter and animation AO worn by your avatar inworld (both male and female scaled anims included). If the built-in color textures aren’t exactly what you had in mind, download the PSD hull template here. 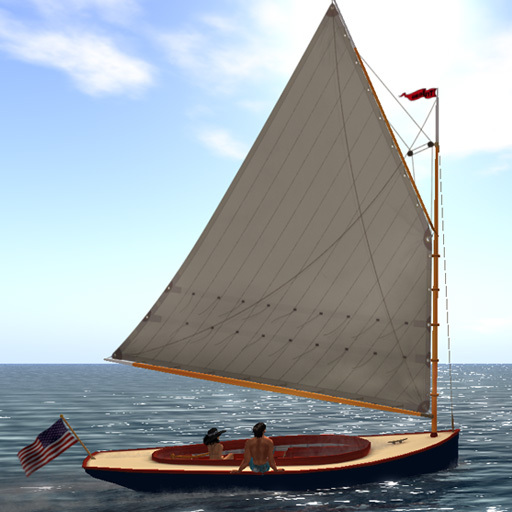 For information about custom sails, contact the very talented Bunnie Mills inworld. 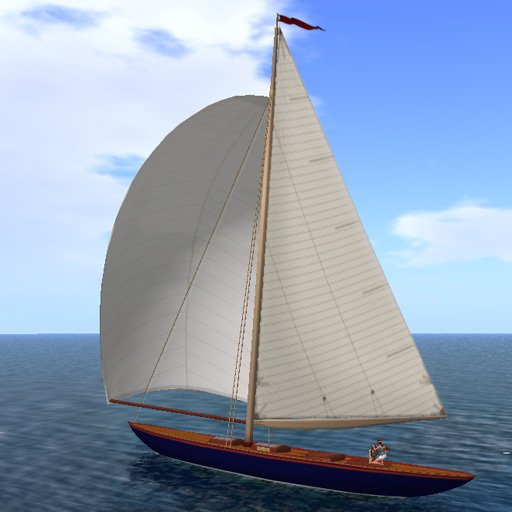 As much fun as SL sailing can be, when you get tired of spinning in circles before being launched through the air, come try something different – the Trudeau RC J-Class. The Tahiti Ketch has been part of our fleet since our early days – in fact it was our second release, built on the heels of our Trudeau 32. 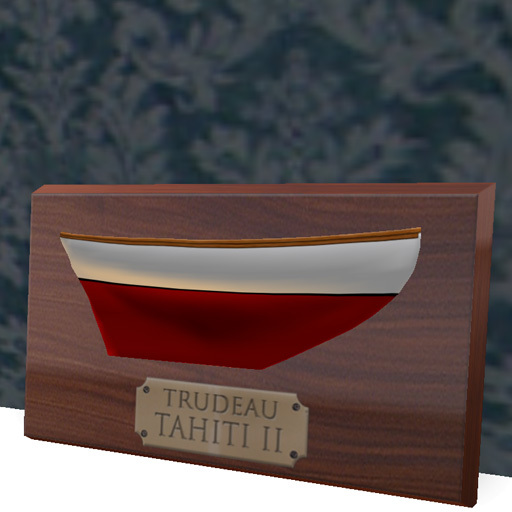 Now we are especially proud to launch our all new version of this classic, the Trudeau Tahiti II. 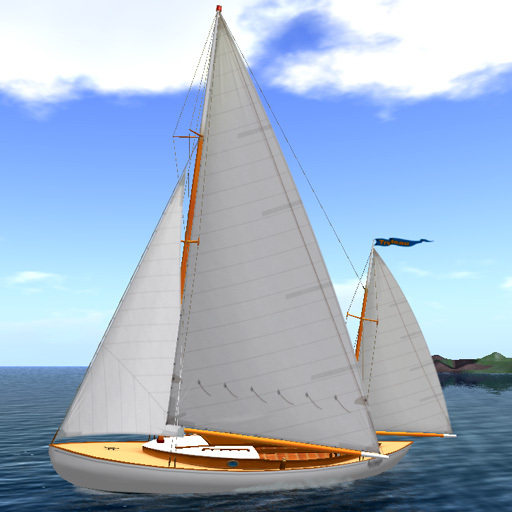 As with her predecessor, she is modeled after the famous John Hanna design of 1935 that has taken many of it’s real life owners on voyages to the far reaches of the globe. Popularized as a cruising boat at a time when there were no production cruising boats, you bought the plans from Hanna, built it in your backyard, and sailed off to the south seas – if you were lucky :) They have been called little ships because they are built strong and sail flat. Tahitis are still being built today in backyards and would-be circumnavigator’s reveries. We’ve just taken the wraps off of our completely rebuilt Tahiti. All new from the keel up, using a one piece sculpty hull (no more awkward prim joins on this Tahiti’s hull! 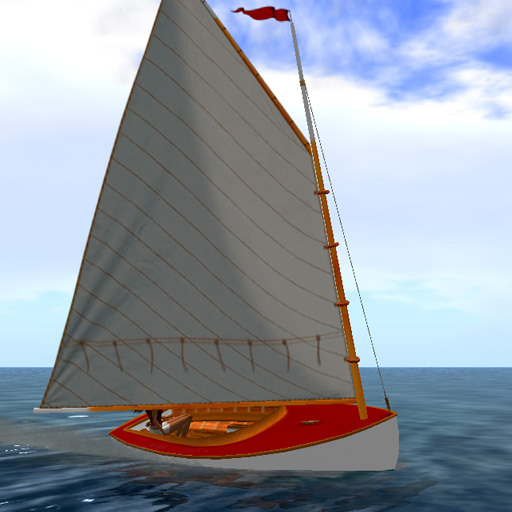 ), Tahiti II was designed in consultation with SL master skipper Thorvald Larsen (a Tahiti Ketch owner in RL). The little details, such as the height of the bulwarks, shape of the tiller and size of the cockpit well, as well as the big ones, such as her tenderness and performance on various points of sail, have been sweated just right. 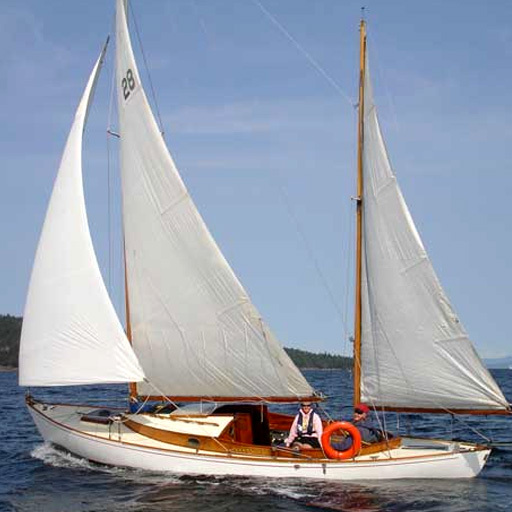 Making her go is a version of the lastest Trudeau sailing scripts adapted especially for the ketch sailplan. As a bigger sister to the Twenty, Knockabout, and Leetle Cat, Tahiti II also offers apparent wind, sail reefing, windshadowing and much more. Come see her at Trudeau Classic Sailing Yachts and see if you don’t agree! 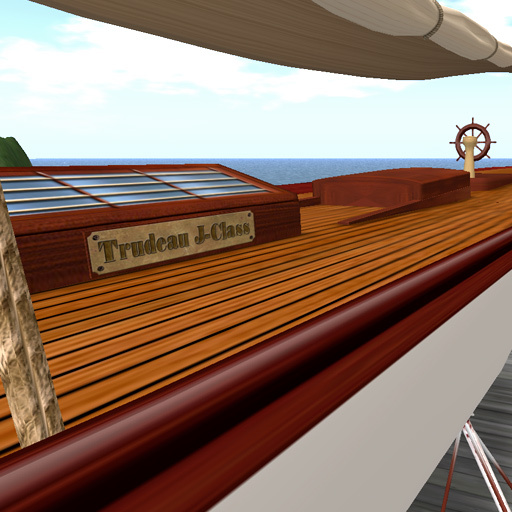 Naturally, a premium Trudeau boat wouldn’t be complete without a built-in selection of traditional nautical color schemes, including the tanbark sails. And, as with our newer boats, we are publishing Photoshop PSD templates for the hull and rudder (2.45MB), transom naming (213KB) and sail (4.61MB) graphics. Download them, customize them, apply them to your Tahiti and make her truly your own! (see this page for step-by-step naming instructions – Tahiti II follows her predecessor’s procedure). Can be sailed either solo or in collaboration with a first mate. You can assign skipper permissions to others as well. 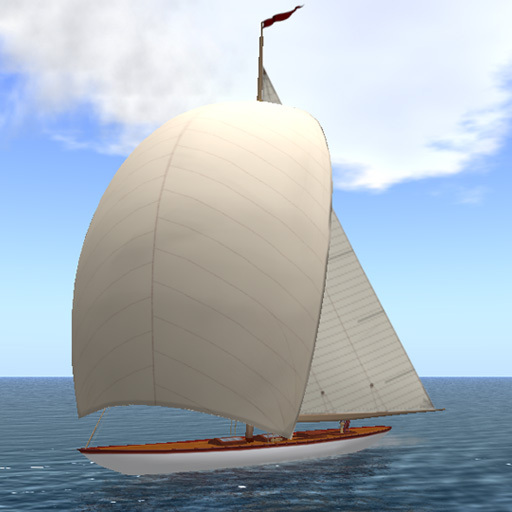 Realistic sailing including functional reefing when encountering overpowering winds and boat to boat windshadowing. 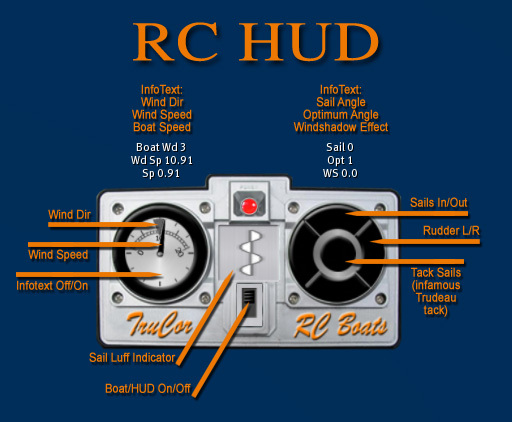 2 HUDs provide button control for the common boat handling commands and display of environmental conditions. The full featured HUD allows individual control over each sail, allowing the seasoned skipper access to such sailing concepts as wing and wing, jib backfill, etc. For the novice or lazy (horrors!) skipper, the EZ-Sail HUD controls all sails with a single click! If two isn’t enough, a 3rd info-display only HUD geared towards regatta racers who like to command their boats with chat and gesture commands is also included. 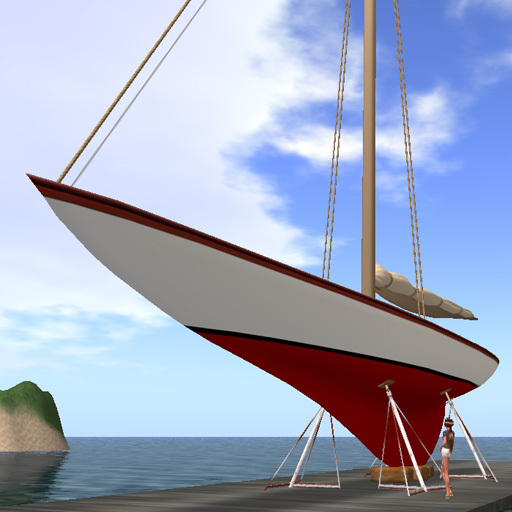 Extra goodies – autorezzing drydock cradle when rezzed inworld over land. 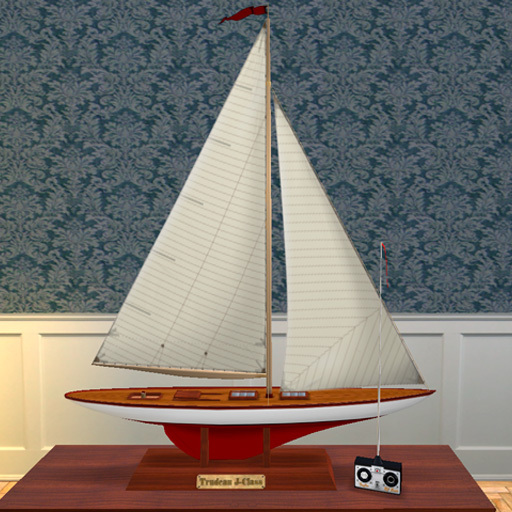 Half-hull model for display in your SL home. (As Tahiti is under the SL prim limit for vehicles, she’s a rideable, with loads of detailing, but not with an enterable cabin). 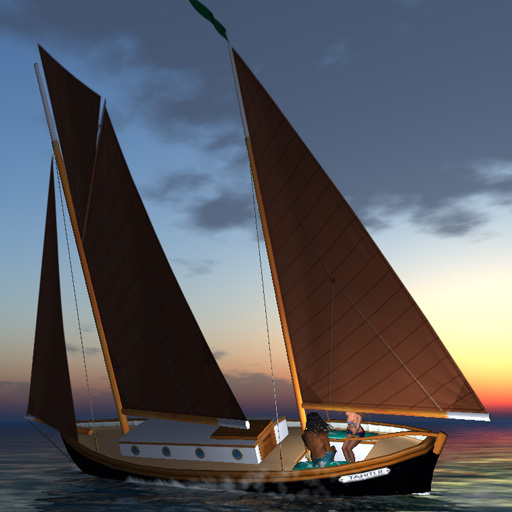 Our latest Trudeau Classic Yacht was inspired by the Beetle Cat, a wooden one-design centerboarder catboat well-known up and down the northeastern US coast. The Original Beetle Cat Boat, named after the family who designed and originally constructed it, was introduced in 1920 and over 4,000 have been built to date. The Beetle Cat class has a long and varied history – it is one of the oldest classes raced actively and probably the only one still made of wood. 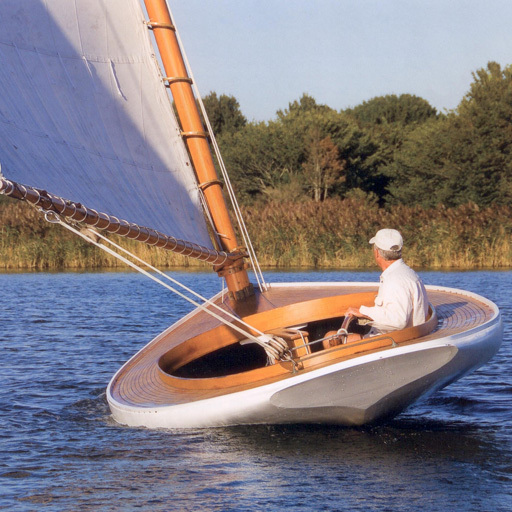 The design was taken from the catboats that were used for fishing in shallow waters along Cape Cod. The wide beam, with the rudder not extending below the bottom of the keel, and centerboard that lifts up are features that make this boat ideal for shallow waters. She is a boat that can be beached. The generous beam makes her unusually stable. Made entirely of wood, (oak frames with cedar planking) with no ballast, she is non-sinkable and the large decked area forward on the boat means spray falls on the deck rather than inside the boat. 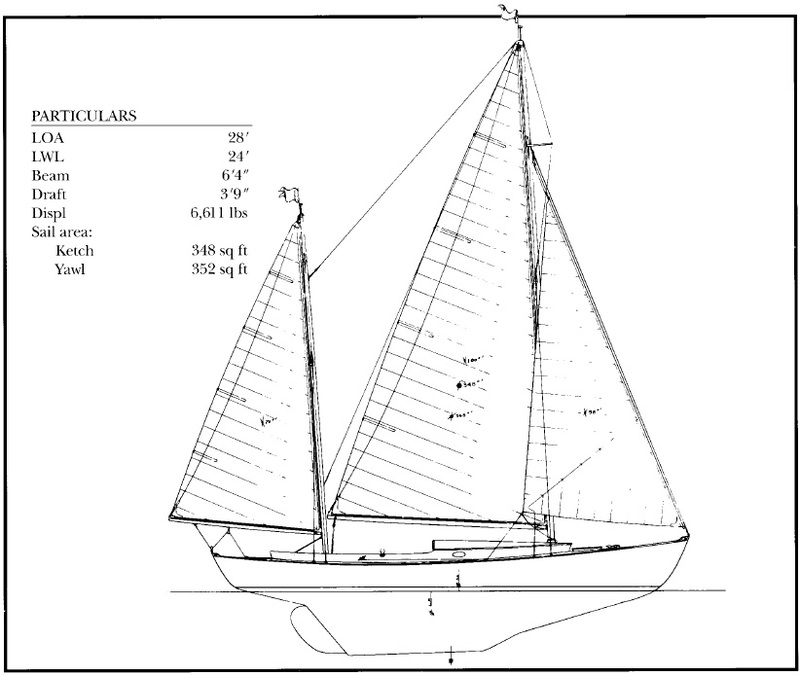 The rig is similar to that used on the old, large-size Cape Cod catboat, with the mast well forward, using a single sail. 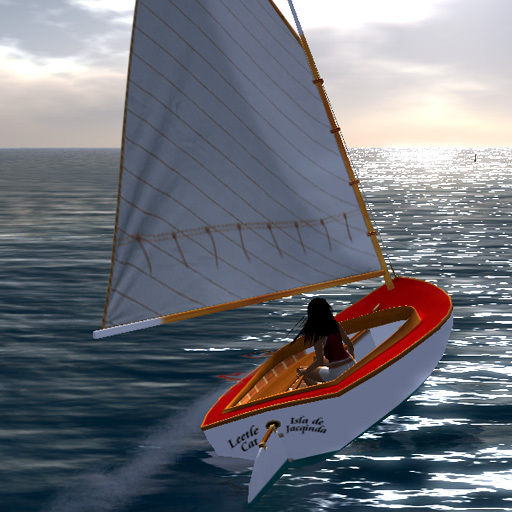 The Trudeau Leetle Cat, with it’s single sail, is also easy to sail and ideal for novice SL sailors. While she is the leetle-est and lowest cost boat in the Trudeau line, she is not lacking in features including windshadowing, functional centerboard and sail reefing. To keep the cost down, the Leetle Cat comes in one finish from the Trudeau boatyard. But we are publishing Photoshop PSD templates for infinite customization. 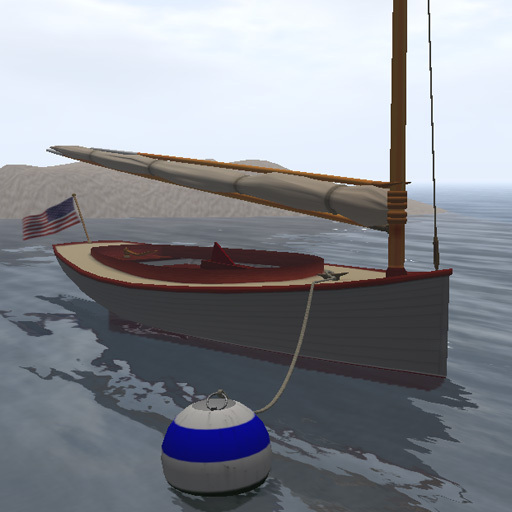 Follow the links for Hull (1.07MB), transom naming (117KB) and sail (5.55MB) graphics. (see this page for step-by-step naming instructions – Leetle Cat follows the Sea Sharp procedure). Can be sailed either solo or in collaboration with a crewmate. You can assign skipper permissions to others as well. 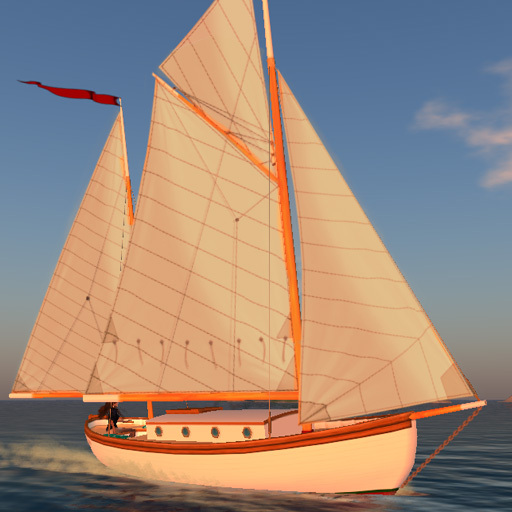 Realistic sailing including functional reefing for overpowering winds, centerboard and the latest sailing feature for the Trudeau fleet – boat to boat windshadowing. Onscreen HUD provides button control for the common boat handling commands and display of environmental conditions. An included 2nd info-display only HUD is geared towards regatta racers. 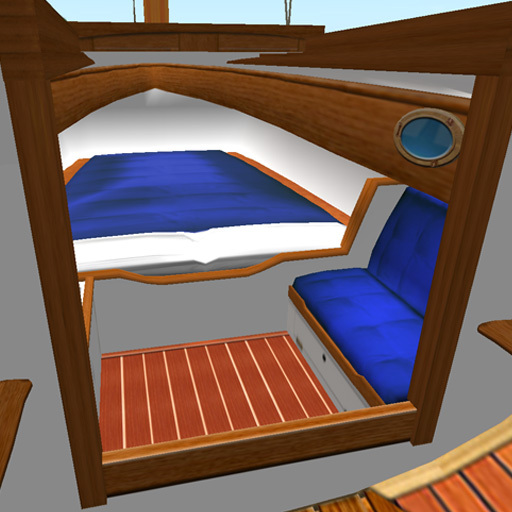 Extra goodies such as autorezzing drydock cradle when rezzed inworld over land. Trudeau Leetle Cat – 29 prims, 17.7 ft (5.34m) LWL, 21.6 ft (6.6m) LOA, 8.9 ft (2.7m) beam, 1.4ft (.42m) draft board up, 3.45ft (1.05m) draft board down. “Beetle Cat” is a registered trademark of Beetle, Inc.